Arsenal claimed a landmark win in Manchester as a penalty from Santi Cazorla and header from Olivier Giroud saw the Gunners slay the Champions at the Etihad. Showing an improved structure, playing more compact and positive, they broke through when Kompany fouled in the box. Santi Cazorla converted a terrific penalty as Arsenal lead in the interval. Manchester City needed to come out all guns blazing for the second half and they did, only to be stunned after slowing down, when Olivier Giroud headed in Cazorla's cross. Here's all the action as it happened in Arsenal's triumph. 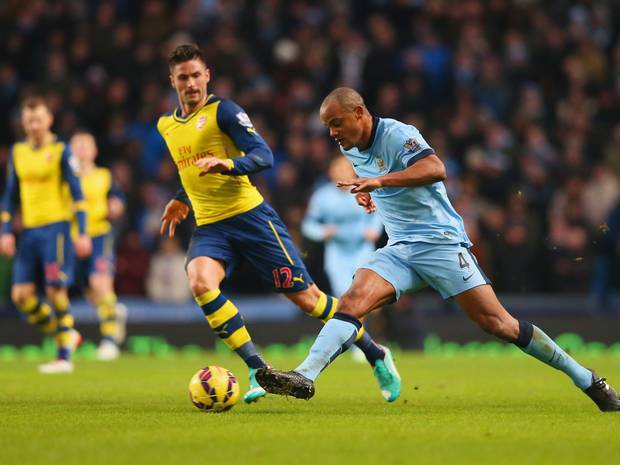 Live coverage for Manchester City vs. Arsenal, contested in the Barclays Premier League on Sunday 18 January 2015.